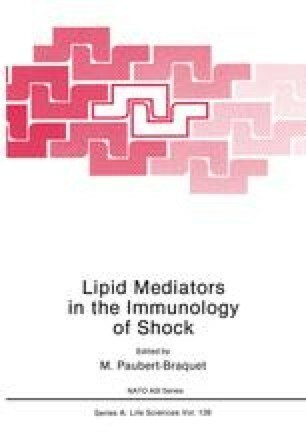 The purpose of this communication is to give a concise overview of the effect of shock, sepsis and trauma on the handling of biogenic amines in the body and also how these substances affect the organism exposed to these pathophysiologies. I will deal primarily with some of the microcirculatory phenomena and their mechanisms, and will not deal with the use of biogenic amines or their blockers in the therapy of these disorders. Further, I will consider only the monoamines, i.e. catecholamines (including epinephrine, norepinephrine and dopamine), serotonin (i.e.5-hydroxytryptamine) and histamine. To my knowledge, the effect of shock, sepsis and trauma on polyamines has not been studied. These substances are involved in cell differentiation and growth, and it is conceivable that disorders here could have long-term effects. For a review of these substances see Heby (1986). Since much more is known about the reactions of catecholamines than about serotonin and histamine, most emphasis will be placed on catecholamines.